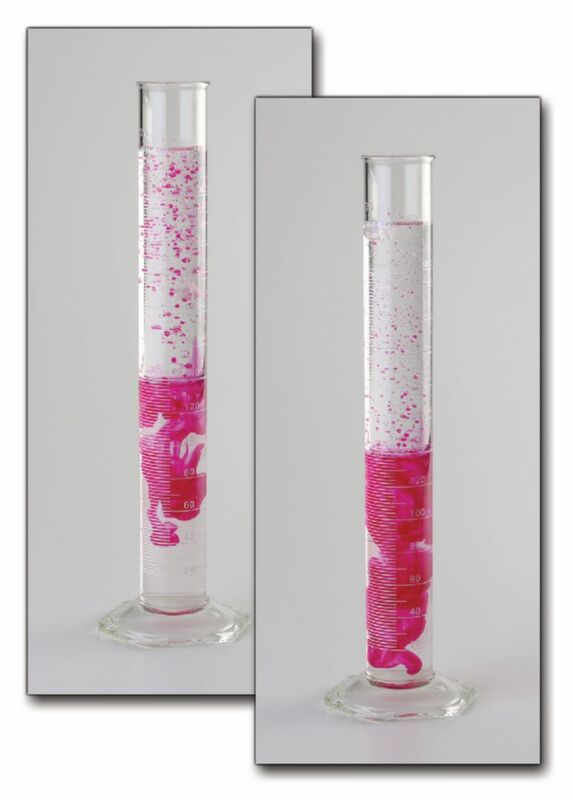 This demonstration is a safer way to show the reaction between water and alkali metals. In this demonstration, students mix two immiscible liquids, mineral oil and water, in a graduated cylinder. A small amount of sodium in the mixture permeates through the mineral oil and react with the two liquids on the bottom. The reaction, as gas bubbles, form and rise to the mineral oil layer and then drop back down to the water and react yet again. A pH indicator to the water layer displays the production of a base when sodium and water react. Certifications: Meets NSES for grades five through 12. Ordering information: This kit includes sodium, phenolphthalein, and mineral oil. Water, graduated cylinders, and forceps are required but not provided.